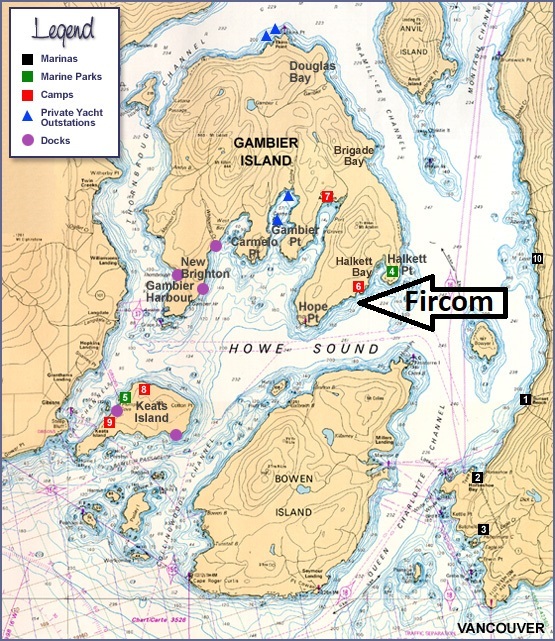 Fircom Plateau Lot 17 Gambier Island 20 minute water taxi ride from Horseshoe Bay West Vancouver. 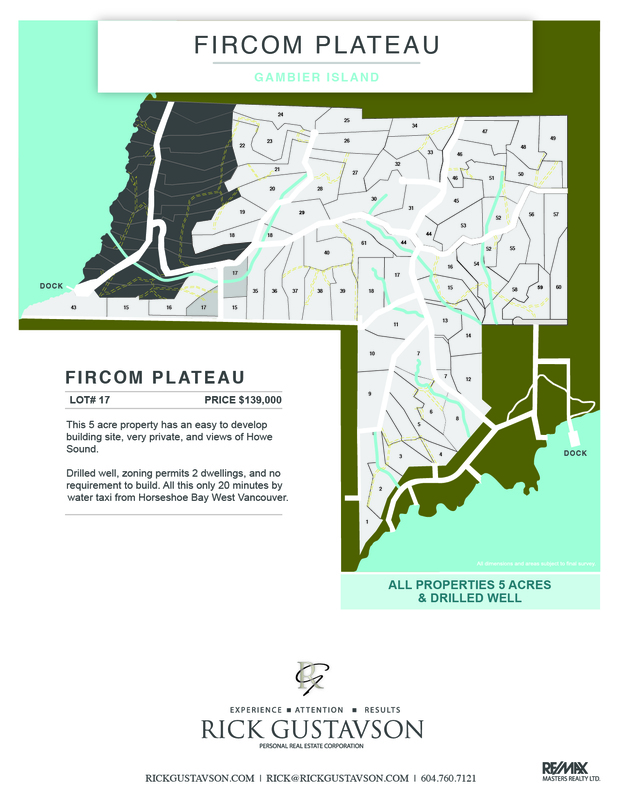 Views of the Mountains and Howe Sound, drilled well and easy to develop building sites.A fabulous community ! !